Travertine brings unique warmth to your kitchen, bathroom and living space. 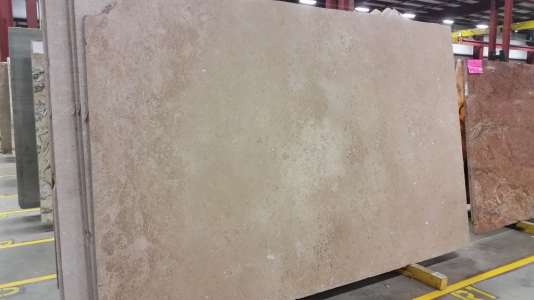 Each piece of travertine has unique features that give it a natural beauty. This natural stone has random sized voids on its surface. It not only adds depth but also lends an old world charm. Subtle elegance of this stone has made it widely used choice for more than a thousand years now. One-of-a-kind appearance in flooring, facades and wall claddings can be achieved with the unique patterns of Cosmos Salt Lake City, UT travertine selection.